The Boat Beat website, www.BoatBeat.org, is a complimentary information service provided by the National Safe Boating Council (NSBC) as a convenience to users, with the express condition that users agree to be bound by the terms and conditions of this Agreement. NSBC reserves the right to change these terms and conditions at any time. Use of www.BoatBeat.org and its contents constitutes your acceptance of the terms and conditions included herein. Your continued use of www.BoatBeat.org after any changes made by NSBC to these terms and conditions shall be deemed acceptance of any such new or modified terms. You agree that you will indemnify, defend, and hold harmless NSBC, its officers, directors, employees, and volunteers from all claims arising out of or related to your access or use of, or your inability to access or use www.BoatBeat.org or the information contained in this website or other websites to which it is linked. You also agree that NSBC or the contributors of information to this website shall NOT be liable to you or anyone else for any decision made or action taken by you in reliance on information provided on www.BoatBeat.org or for any consequential, special, or similar damages, even if advised of the possibility of such damages. The information provided on www.BoatBeat.org is provided for general information and awareness only. NSBC makes no warranties of any kind concerning www.BoatBeat.org, including but not limited to any warranty of accuracy, completeness, currency, reliability, merchantability, fitness for a particular purpose, title, or non-infringement, or any warranty that these pages, or the server that makes them available, are free of viruses or other harmful elements, and such warranties are expressly disclaimed. 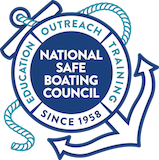 You understand that the opinions and recommendations included in www.BoatBeat.org are not necessarily those of NSBC or endorsed by NSBC. NSBC may provide links to other websites, which are not under the control of NSBC. These links are included as a convenience to you and are not intended as an endorsement by NSBC or the organization or individual operating the website. Unless otherwise indicated, all information contained on www.BoatBeat.org, including but not limited to text, graphics, logos, images, and audio clips, is proprietary to NSBC. However, since these materials are produced under a grant from the Sport Fish Restoration and Boating Trust Fund, administered by the U.S. Coast Guard, they are free to the public and may be copied, reproduced, transmitted, displayed, distributed, or otherwise used in whole or in part in any manner as long as they acknowledge NSBC’s ownership and production of these materials and include the disclaimer below, as appropriate. For any contributions (for example, a quote, photo, video, or summary referencing or related to boating safety activities) you make to the NSBC via www.BoatBeat.org and for any feedback you provide to NSBC (“Contributions”), you agree to grant, and hereby grant to NSBC a worldwide, irrevocable, perpetual, non-exclusive, transferable, assignable, sublicenseable, and royalty-free license to copy, distribute, create derivative works of, publicly display and perform, and otherwise exploit such Contributions and to use, make, have made, sell, offer for sale, import, and export products and services based on such Contributions. You acknowledge and agree that you are not entitled to any compensation of any kind from NSBC for Contributions you provide. You hereby consent to the use of your Contributions and hereby authorize www.BoatBeat.org to exhibit and publish your Contributions to promote proper boating in any medium, including, but not limited to: media; agency communications materials; social media; and public awareness materials. You represent and warrant that you have sufficient rights to grant the above license, consent, and authorization. You hereby release and indemnify the NSBC and www.BoatBeat.org, its affiliates, and their assignees from any and all claims whatsoever arising out of, related to, or based on the use of your Contributions. The website, www.BoatBeat.org, (excluding linked sites) is controlled by NSBC, headquartered in the State of Virginia, in the United States of America. It can be accessed from all 50 states, territories of the United States, as well as from other locations around the world. Each of these locations has laws that may differ from those of Virginia. Therefore, by accessing this website both you and NSBC agree that the statutes and laws of the State of Virginia without regard to principles of conflicts of law in Virginia or elsewhere, shall apply to all matters arising from or relating to use of this website. You and NSBC also agree and hereby submit to the exclusive personal jurisdiction and venue of the state and/or federal courts located closest in proximity to the NSBC National Office in Manassas, Virginia should any matter arise related to NSBC. You agree that you are prohibited from using this site to commit fraudulent activities, violate any law, statute, ordinance, or regulation. Furthermore, no communications passing through this site may be defamatory, libelous, unlawfully threatening or unlawfully harassing, obscene, or contain any viruses, Trojan horses, worms, time bombs, or other computer programming routines that are intended to damage, detrimentally interfere with, surreptitiously intercept or expropriate any system, data or personal information. NSBC will take immediate action to prevent violators of this policy from using www.BoatBeat.org. The information on this website was produced under a grant from the Sport Fish Restoration and Boating Trust Fund, administered by the U.S. Coast Guard. The contents are solely the responsibility of the authors and do not necessarily represent the official views of the National Safe Boating Council, National Association of State Boating Law Administrators, U.S. Coast Guard or the Department of Homeland Security. The information on this website was produced under a grant from the Sport Fish Restoration and Boating Trust Fund, administered by the U.S. Coast Guard. The contents are solely the responsibility of the authors and do not necessarily represent the official views of the U.S. Coast Guard or the Department of Homeland Security.